Potocki Vodka traces its origins back in 1816 when the founder Alffred I Potocki inherited the splendid £añcut Castle which included Poland's second oldest distillery. £añcut is located halfway between Krakow and Lvov. Alfred I Potocki hired specialists to improve quality and increase production capacity. In 1838 he introduced liqueurs and cordials for which the £añcut distillery quickly achieved notoriety. In 1857 it obtained the special privilege to become a purveyor to the imperial court in Vienna. 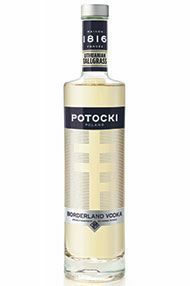 Potocki Wódka today is distilled at a small facility surrounded by fields and forests, and it is known for its artisanal approach. Rye is sourced from the fields surrounding the distillery, while the mash is only twice distilled - as every additional run would unnecessarily strip the alcohol of its character. The distillate is tasted at regular intervals, and only selected when optimum criteria are reached. The resulting pure alcohol is watered down to the required strength and tasted again by Jan-Roman Potocki and the master distiller. The vodka is left to rest for a few days and then bottled without resorting to the customary charcoal filtration. The taste is soft and slightly sweet at first, with a rich, creamy texture that envelops the mouth. In the finish, it is turning into a long dry finish with nutty notes, the trademark taste of Polish rye vodka. 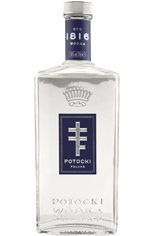 Potocki Wdka is distilled in Poland from rye following traditional techniques. Unfiltered, the vodka retains the aroma and flavour of the underlying grain. It offers a velvety mouthfeel and a long finish. It was given 4 stars in the march 2003 issue of the widely read Revue du Vin de France. 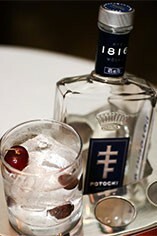 It is recommended to serve Potocki Wdka chilled but not frozen in order to enjoy its flavour. This vodka is very well suited to accompany fine foods such as caviar, smoked fish, mildly sweet pastries.